Style isn’t something some people have and others do not, the reality is while you flick through a home magazine or walk through an open home, you will either like the room or not – that originates from your style. When some people claim they have no style that is not the case, often the challenge is in executing that style into your home. 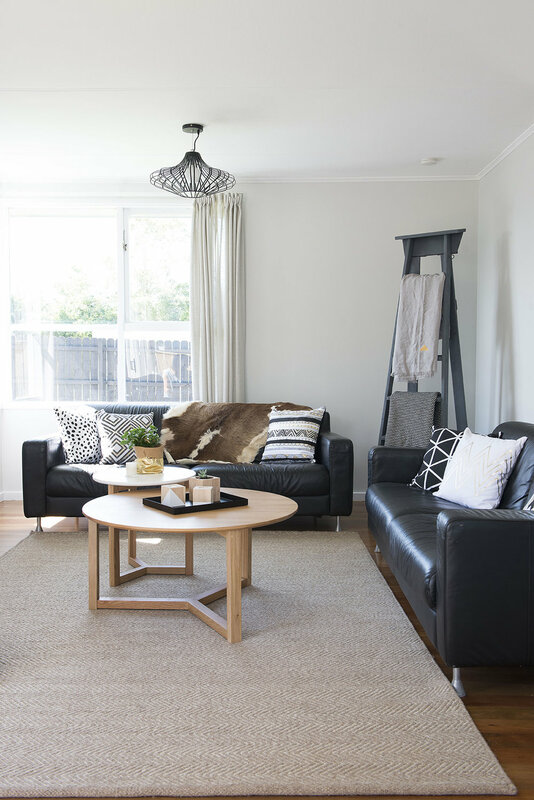 To style well, every piece of furniture and décor needs to work together to create one complete look – this is where a lot of people get frustrated, waste money or give up before they even give it a go or achieved their style. There is an art form to interior design and styling. It is creative and driven by emotion but at the same time there is structure and calculated decision making. Finding your style is like most things in life – you find it through exploring different opportunities and making lots of mistakes! Style isn’t something you can develop by blindly going into a homeware store and picking a few things you like. Though my husband will laugh – there is skill to shopping. Every keen shopper loves to claim “it’s not what you spend, it’s about what you save”, but it does come down to what you spend. Regardless if the item was the deal of the century, if you get it home and it doesn’t suit the rest of your vision, it’s money wasted. So here are a few simple steps to developing your style in your own home and buying well. There are people who have a natural ability to walk into a space and visualise the end result they want to see. They can see the potential, they can decide the best layout out, they know what colours will complement and a space can be completely transformed in their mind. While I can do this, Caleb struggles. As I would design rooms in my mind and try to explain it to him, his response was always the same – I need to see it. Anton Chekhov said “There is nothing new in art except talent.” I have found though I may have a new idea, someone else has more than likely executed it. So my response to Caleb is to get on Pinterest and give him images and examples of what I want to do. If you can’t visualise a space yourself, find images of what you would like it to be. One season of My House Rules, a contestant failed horribly, and I mean HORRIBLY in her interior design of a room and the following week she scored a perfect 10. The immense improvement originated from one inspirational picture from a magazine that she took with her to every store and referred back to for every design choice. She didn’t replicate the image but allowed it to guide her in choices with colour and style. Creativity inspires creativity, so don’t be afraid to find an images (or several) and decide “I want my house to look like that”, without a starting point in design it is very hard to reach the finishing point. Most of my shopping is done online. Even when I’m browsing through stores, I’ll go back home and do my research on an item I’m interested in. When you are in a store surrounded by so many pretty things, it is easy to purchase items without thinking about where they will go and how they will suit the rest of your décor. You can find yourself having to rework a whole room to cater for an impulse purchase! If I’m looking for a certain product, like a round coffee table, I will spend time online first to find out what stores stock the style I’m after in my price range. You also realise how many items you miss viewing in-store when you shop online first - most of the stand out pieces fly off the shelves, so shopping online ensures you can get the stock you want. For someone like me who seems to have the ability to pick out all of the most expensive items in a store and will whisper to the shop assistant “Please don’t say the total amount out loud”, online shopping allows me to see how much I’m spending and remove some items from my cart. As confident as I have become in sourcing different elements to bring together a look or a room, you never fully know it’s the winning combo until you put it all together. There is no doubt that there are some pieces that you just know will look fabulous in your home, a divine rug or one of a kind coffee table – but it’s those smaller pieces that can bring a room together or just stick out like sore thumb. A client said to me recently “how did you know that that one cushion would bring all the colours in this room together”, I replied “I just knew” but to be honest there were other options in my car just in case! Sometimes it is those small inexpensive pieces that you overlook in-store that could become a key piece in your styling. Recently I took a car full of cushion selections for a client, I went for some stunning (and expensive) pieces with different textures and patterns and then some plain and cheaper options to sit behind them. With all the cushion options lined up on her couch, it was the most inexpensive $20.00 cushion that became the hero. We ended up adding it to the dining seating area too. It seems most stores have different policies, but ask the question before you buy – what happens if this doesn’t work in my home? Hopefully they store will have an answer, because otherwise - I’d suggest shopping somewhere else. My shopping motto is pretty simple – if I don’t love it when I get home, I return or exchange it. Interiors by styled by Alice Pearson. Photography by Helen Bankers. Posted on January 27, 2017 by Alice Pearson and filed under Interior Design and tagged Interior interior styling Interior Design shopping homeware Furniture.